The fleet of the german lifting operator Dornseiff Autokrane und Schwertransporte & Co. KG just expanded with a new Liebherr LR 1250. This crawler crane has a 250t loading capacity and a 148m high lifting capacity, as well as 35m main boom and jib. It benefits from higher loading capacities thanks to the Blocked Crawler Mode, increasing the lifting capacity by 20% when the machine has a 45m outreach, and by 15% when it works at 36m high. Thanks to this mode, the LR 1250 has been able to lift some weights which required bigger machines in a narrow site. It lifted some heavy concrete elements and the steel construction of the new production building’s roof structure of Osram Opto Semiconductors GmbH, in Regensburg. 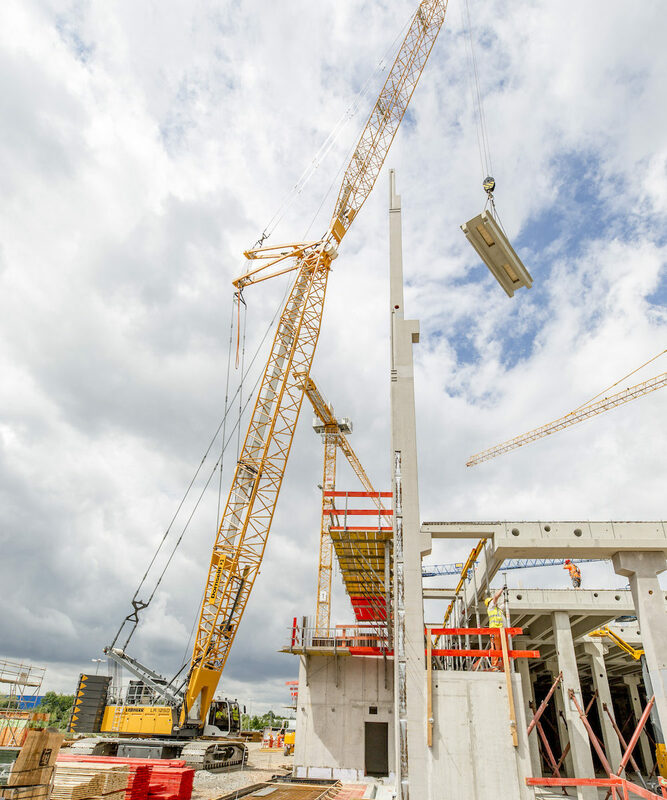 Dornseiff has up to date 52 telescopic and crawler cranes with lifting capacities up to 500t as well as various loading and mobile construction cranes.